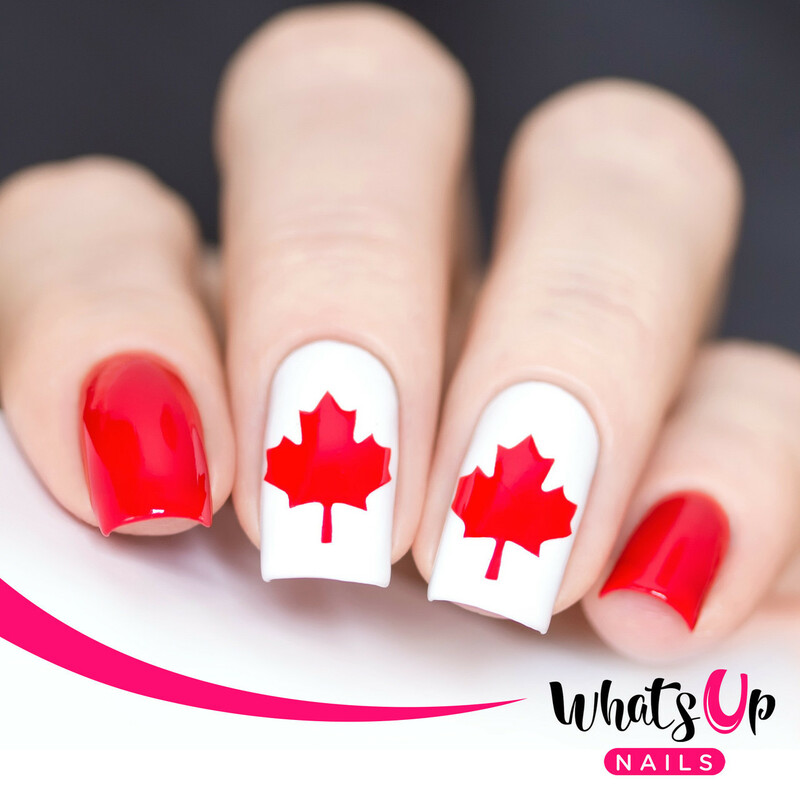 The first 10 people who use my unique coupon code V1G9113M06 will get their pack of Canadian Flag Nail Vinyls for free. Each sheet has 20 stencils, and you can use both the inside and outside to create your design. Click here to claim your pack now! 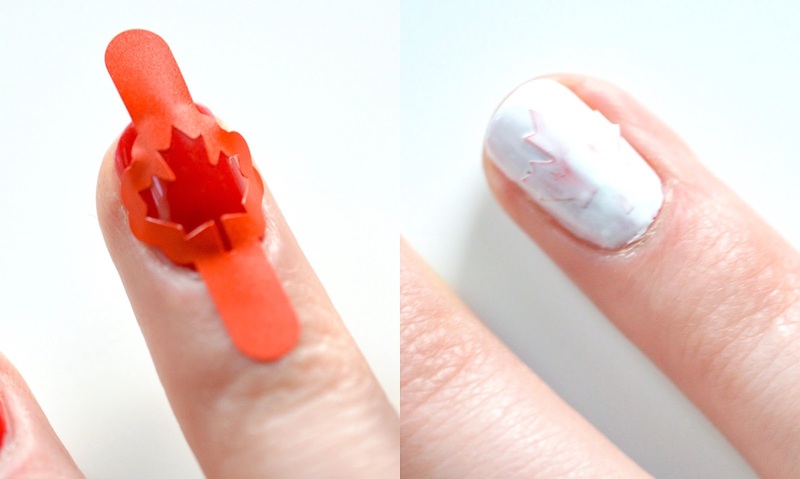 These little maple leaves come in two sizes and have the best adhesive that won't wreck your base colour. I like to let my first few coats of colour dry completely before going in with my stencils - top coat and all. It's less stressful doing nail art in two steps, spread over two days, especially since there were no smudges when my final top coat was applied. 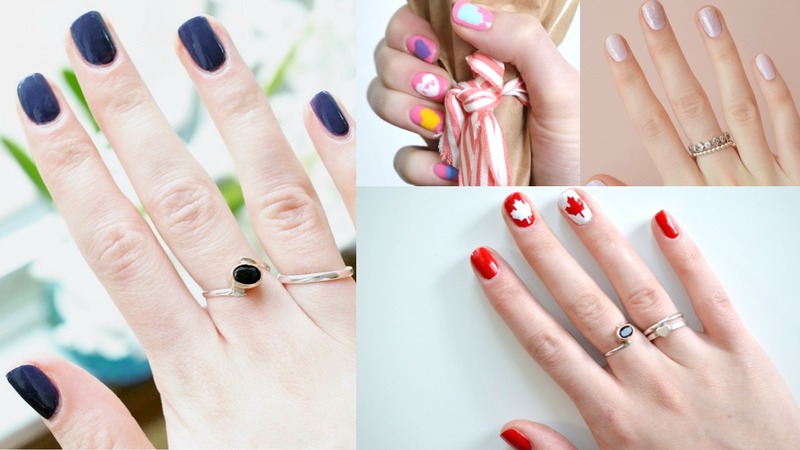 You need to apply a generous glob of top coat and move it around very quickly. Use long, gentle, single swipes so the brush doesn't drag the two colours together. 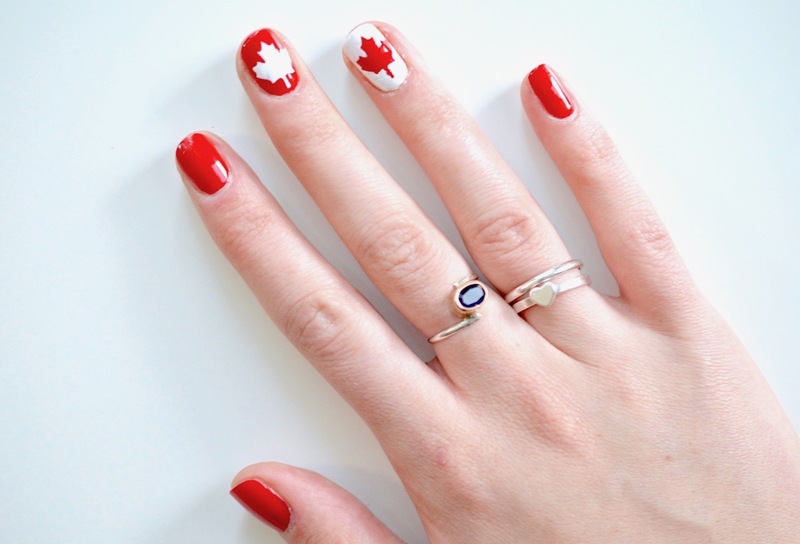 Could a Canada 150 mani get any cuter?! I can't wait to rock it again in a few weeks, then once more in the winter (ft. blue and white) when the Leafs are back on the ice. If you're interested in my full manicure routine, I've filmed a quick video below that outlines all the steps to my weekly mani. 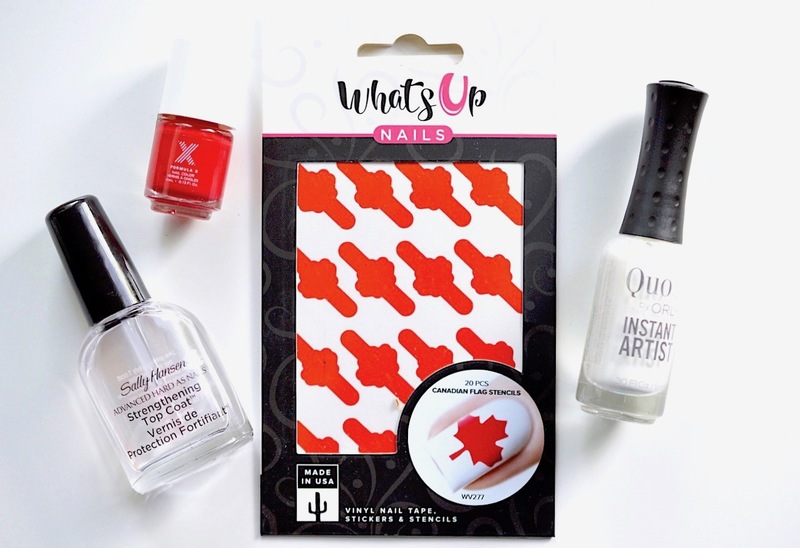 I also threw in a cool nail art hack, showing how to make detailed nail polish "stickers". Paint your design on a piece of plastic, let it dry, then peel off and apply to a plain base colour. I struggle at painting my left hand, so these Valentine's Day Love Hearts came out perfectly and didn't take too much time.